She’s a Barbie girl, in a Barbie world. 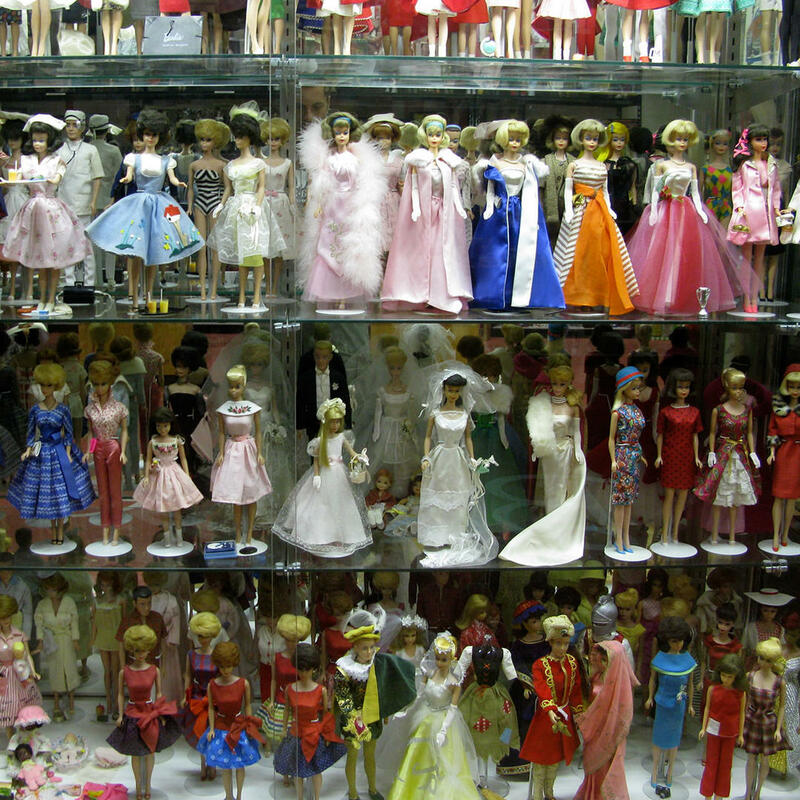 Sandi Holder’s Doll Attic includes an extensive collection of Barbies from every generation, from the very first that debuted in 1959 to the modern dolls released today, which illustrates the history of the famous doll and how she’s changed throughout the decades. Sandi Holder’s intimate knowledge of the beautiful figurine, which comes from over 20 years of collecting experience, has been demonstrated through numerous print and television appearances as well as countless awards like Mattels First Ever Dealer of the Year award. In one of her bi-annual online auctions, Sandi Holder sold a Barbie doll for a total of $27,000—garnering her not only a whole lot of cash, but also a Guinness Book of World Records title for the most money spent on a single doll.